From deadlines and SDS to labeling and training, there is a lot you need to do to become GHS compliant. 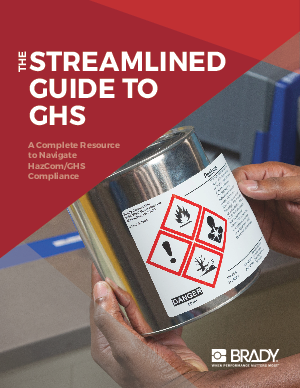 Our Streamlined Guide to GHS provides you a complete resource to navigate HazCom and GHS compliance. And the best part is...it's FREE!